To listen to samples and purchase the album please click the link below. Post-Chromodal Out! 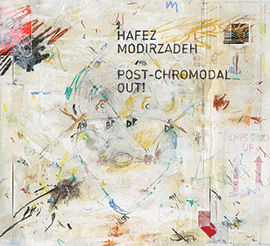 is an important new release from Pi Recordings that represents the next step in composer/saxophonist Hafez Modirzadeh’s 30-year quest to create a seamless exchange of musical structures across all cultures. It is the culmination of a system he calls “chromodality,” which Modirzadeh originally developed to integrate Persian tones with Western equal temperament to further explore harmonic possibilities in jazz. He has since expanded his concept to encompass a “post-chromodal” approach in which all kinds of intervals co-exist; one with meta-cultural potential that allows each musician to use his own distinctive voice to explore music from a full palette of tonal possibilities. The result is not simply some sort of mash-up; it is no less than an effort to altogether transcend cultural differences. The post-chromodal concepts were first put into practice by Modirzadeh with Iraqi-American trumpeter Amir ElSaffar in their co-led project Radif Suite (Pi 32), which the New York Times called “scintillating… a radical cultural exchange” and “thick with ideas and inspiration” by the Los Angeles Times. Here, as on Radif, Modirzadeh and ElSaffar utilize extended technique to achieve intervals between major and minor. Through the use of alternate fingerings and changes in embouchure, they are able to subtly manipulate pitch, allowing them to break free of the boundaries of equal temperament into new tonal orientation. Post-Chromodal Out!, however, takes the concept one step further through the introduction of a piano re-tuned to variations on Persian temperaments devised by Modirzadeh. Set with three-quarter tones (not quarter tones, but large half-steps, or small whole-steps) integrated with intervals common to equal temperament, the instrument requires the pianist to take a completely new approach. Leaping headlong into this music is pianist Vijay Iyer, who takes on the re-tuned instrument with an improvisatory mastery befitting his own reputation for combining jazz with the music of different cultures. Modirzadeh had this to say about Iyer: “I have approached many pianists over the years, but Vijay was the only one to physically sit down at a beat-up old upright I had retuned, to trust in the possibilities, and make it happen. His confidence to move through vulnerable realms demonstrates great mental endurance, collaborative spirit, patience and love. He applied enormous will and understanding, taking on what is at stake with uncompromising determination.” The band also includes Ken Filiano on bass and royal hartigan on drums, both of whom have worked with Modirzadeh for over 25 years and each a seasoned explorer of cross-cultural musical possibilities in his own right. Also on board are guest artists Danongan Kalanduyan on the Filipino kulintang, Faraz Minooei on santur, and Timothy Volpicella on electric guitar, who help to further establish the meta-cultural nature of this music. Modirzadeh would eventually move back to California, where he is now a Music Professor of World Cultures at San Francisco State University. As years turned into decades, and although awarded two NEA Fellowships and a Fulbright, still, the feeling never escaped Modirzadeh that his life’s work was slowly dying on the vine. The story might have ended there if not for a serendipitous visit to Ornette Coleman’s home in New York City in 2007. 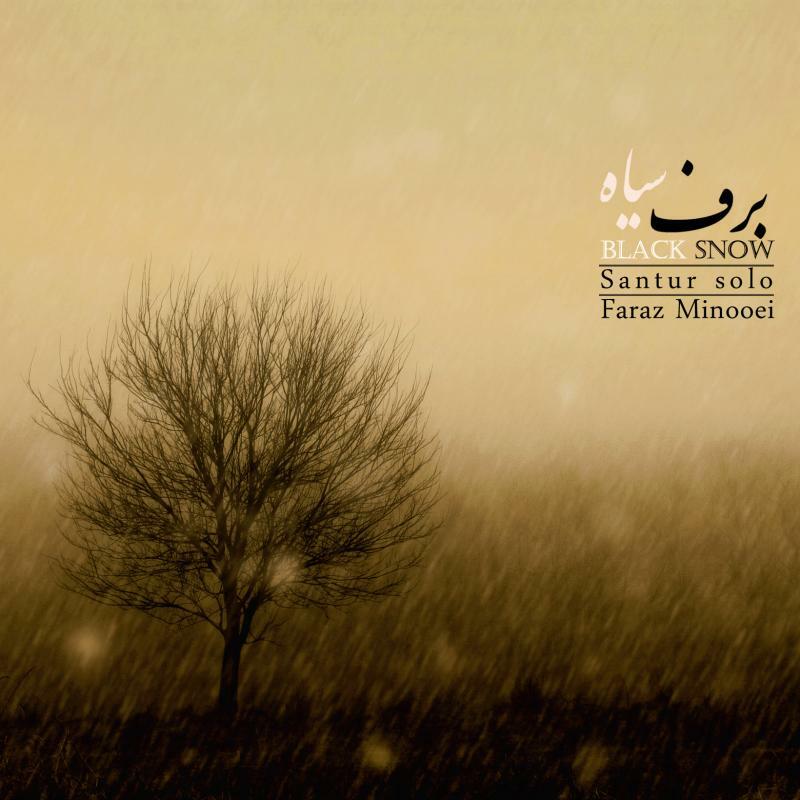 Modirzadeh had been interested in finding out how it was that after years of developing his own musical approach through Persian and various other non-western systems that he would somehow arrive at a tonal language similar to Coleman’s. A single afternoon visit turned into days of discussion and playing, leaving Modirzadeh convinced of the need for a universal “post-chromodal” approach that breaks free of all cultural barriers. Consequently, Coleman invited Modirzadeh to play with him at the 2007 San Francisco and Monterey Jazz Festivals. Post-Chromodal Out! is comprised of two suites: “Weft Facets” by Modirazdeh and “Wolf and Warp” by James Norton, who was commissioned by Modirzadeh to compose an independent work with the intention of demonstrating the expansiveness of this approach to re-tuning. When asked the reason for his urgent imperative to re-tune the piano, Modirzadeh replied: “The standardized temperament for piano, as beautiful as it is, carries an unbalanced weight of influence over players and listeners, leading many to believe that there is no other resonance to work with but this one. This creates a value system that is unjust and ultimately limits the discovery of other, more personal tuning possibilities. By retuning the piano – the one instrument that imposes a dominant influence on the world’s music – the musician is freed to explore all tonal possibilities.” The result is music that is like nothing that has been attempted before, one that promises to shake the harmonic foundation of Western culture’s tempered system. 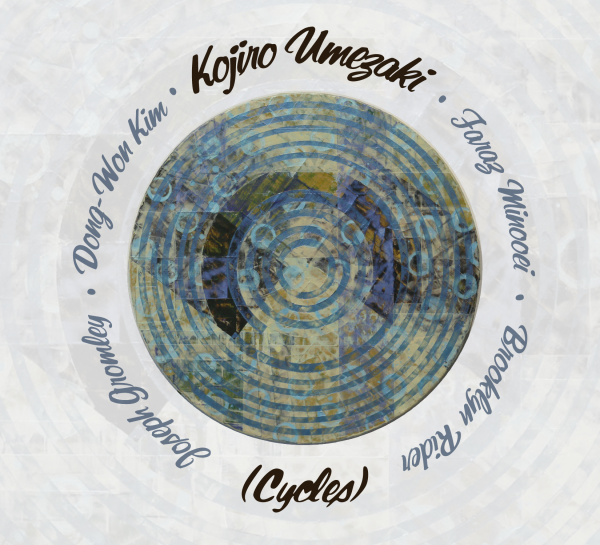 Composer and shakuhachi virtuoso Kojiro Umezaki's latest release expands his continued exploration of transformative music that seamlessly integrates classical composition, traditional Japanese musical influences, electronics and improvisation. (Cycles) features both original and traditional works that artfully blend shakuhachi (Japanese vertical bamboo flute), percussion, electronics, and other world music instruments in a diverse mix of compositions. For fans of: Silk Road Ensemble, Yo-Yo Ma, Brooklyn Rider, world-electronic music. All tracks composed by Kojiro Umezaki with the exception of "Lullaby from Itsuki (五木の子守唄)" (Japanese traditional) and "108: for shakuhachi, janggo, santur, and manjira" (Kojiro Umezaki, composer; Dong-Won Kim, Faraz Minooei, and Kojiro Umezaki, co-arrangers).